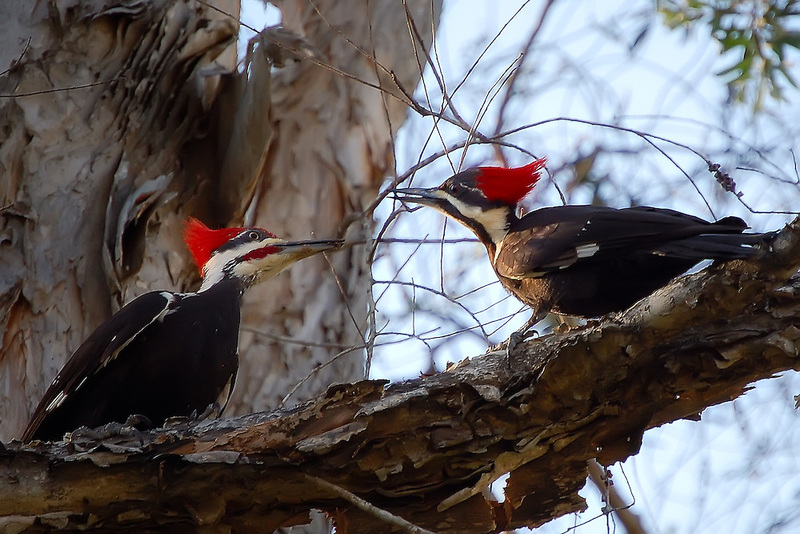 A pair of pileated woodpeckers in Fort Myers, Florida. One cannot mistake them for anything else in the wild. When drumming on trees, it literally sounds like a jackhammer!